Third Man Records announced details today for Vault Package #34 which continues the year long celebration of the 20th anniversary of The White Stripes. 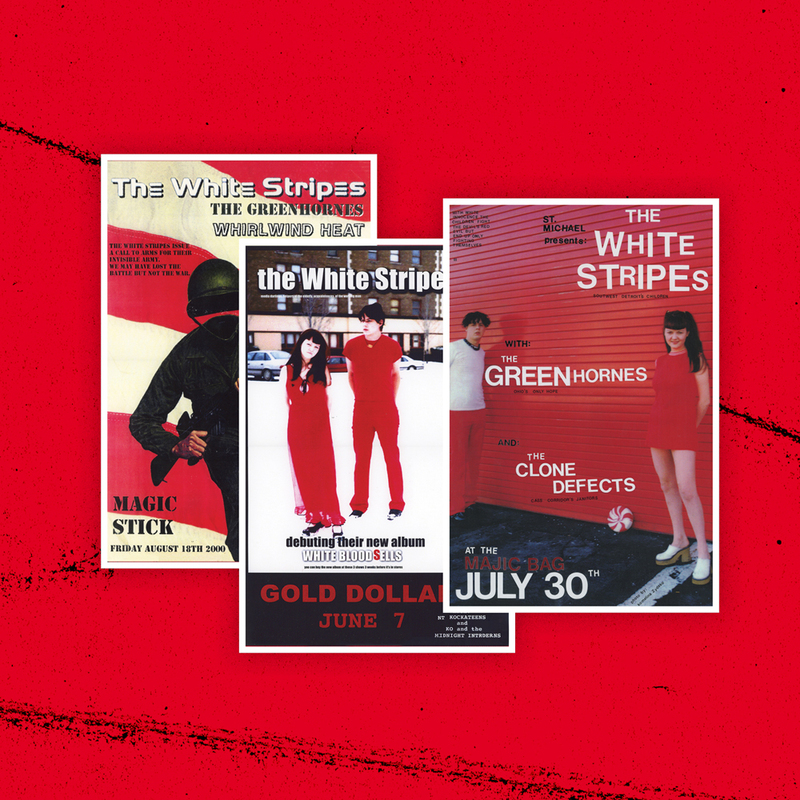 If you are a fan of The White Stripes, especially a fan in Detroit, you are going to LOVE this package! 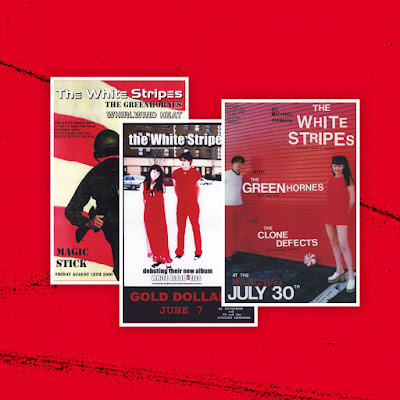 The White Stripes Live in Detroit: 1999-2000-2001 includes three White Stripes' concerts: July 30th, 1999 at the Magic Bag in Ferndale; August 18th, 2000 at the Magic Stick in Detroit, and June 7th, 2001 at the Gold Dollar in Detroit. Distorted bootleg recordings of these concerts (or portions thereof) have made the rounds on the net for years, but finally these legendary concerts will be released as proper live recordings through Third Man. The albums were pressed on 180 gram red, white, and black vinyl by Third Man Pressing in Detroit and are housed in custom die-cut sleeves, plus include high quality reproduction prints of posters Jack White created for the shows. As noted on Third Man's website, White only made 20 copies of each flyer for the shows back in the day - it cost a dollar for each color copy at Kinko's back then! Third Man promises the replicas in the Vault Package are "gorgeous, instantly frame-worthy and much lighter on the pocketbook than the costly originals." Stream a preview of three songs from the collection below. "Dead Leaves And The Dirty Ground" is from the 1999 show at the Magic Bag; The cover of "Ashtray Heart" (originally by Captain Beefheart) is taken from the 2000 show at the Magic Stick; and "Fell In Love With A Girl" is from the 2001 show at The Gold Dollar.